Each programme works to save you time and effort. Remove all your everyday stains at 40 degrees in just one wash with the Anti-Stain setting. You’ll also be able to select an Anti-Allergy option for a deep, intensive clean at the end of your cycle – perfect for pet blankets and towels. And, thanks to steam technology, you can choose between a time reduction and an energy saving feature with selected programmes. 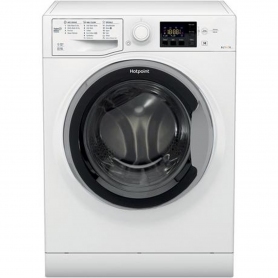 So, if you need to cut down on washing time, or on your utility bills, the RG8640W has got you covered. Use the simple electronic controls to select your chosen programme and keep an eye on your laundry with the smart LED display. 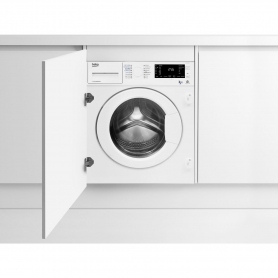 You’ll even be able to delay the start of your load with this Hotpoint washer dryer – another great, handy feature.